Venting a crawl space with outside air brings summer humidity and cold winter air into your home, which leads to damaging mould and rot underneath your home. The Crawl-O-Sphere™ Crawl Space Fan provides another way to ventilate a crawl space environment-- with the already-conditioned air present in your home. Mounting a Crawl-O-Sphere™ in your floor joist and installing a vent to the floor above will take a single installer about an hour to complete. As the installer works, the rest of the crew can be working on other parts of your crawl space system. There are many products on the market these days that are used to ventilate crawl spaces. Some suggest take air inside your crawl space and blowing it out of the house. Others recommend blowing air from the outside into your home. But what if it's damp, humid, or cold outside? At BC Basement Systems, we recommend installing a crawl space dehumidifier over using a crawl space fan. However, if you're looking for a more economical way to dry your space, the Crawl-O-Sphere™ is the way to go. 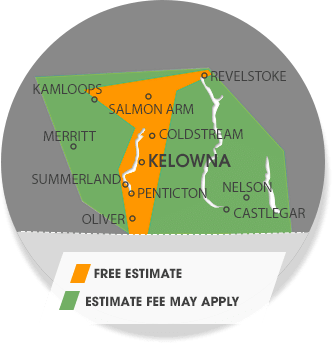 We service Vernon, Kamloops, Kelowna, Nelson, Quesnel, Penticton, West Kelowna, Salmon Arm, Castlegar, Williams Lake, Coldstream, Trail, Westbank, Winfield, Oyama, Armstrong, Chase and many nearby areas in British Columbia.